Pawn - Get a loan on your item and you pick it up at a later time. 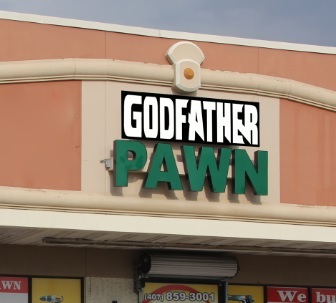 Godfather Pawn has 10% Pawn Loans! The lowest rates in Town. No Loan to Big or Small! 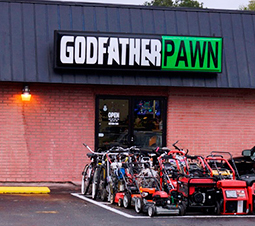 Sell - Sell to Godfather Pawn for quick cash. Get an estimate from the comfort of your own home. So why not snap a picture and upload here! Use our online appraisal form here, and we will contact you right back with a quote or information.